August typically brings with it some of the most brutal summer conditions. With temperatures that soar beyond 100 F, and night temperatures that don’t always cool off, landscape plants can struggle to perform. However, there are key things you can do to help your landscape plants weather the heat until the return of gentler fall temperatures. With a little additional attention this month to clean up, watering, deadheading spent blooms and pests and diseases, you can give your garden a boost for fall. Water smart: Irrigation systems can waste a lot of water if they aren’t designed correctly and maintained for peak performance. August is a good time to have your system audited, if you haven’t already, to make sure you don’t have broken irrigation heads, leaks, or pressure problems that could result in water loss to runoff and evaporation. If you live in an area of drought with tight water restrictions, be sure you understand your city’s watering ordinance. Replace Plants: Losing plants from summer heat? Now is a good time to pay attention to which plants aren’t performing in your summer climate. It may be time to remove them and consider replacing them with more water-wise specimens come fall. Two plants we love that need very little water once established include Cassia Nemophila, Desert Cassia and Euphorbia rigida, Gopher Spurge. Cassia produces a showy spray of yellow flowers in winter and silvery green foliage year-round. Gopher spurge features upright stems with spirals of slender, blue-green leaves. As their chartreuse flowers expire in fall, they turn a coppery color, giving you another season of interest. Pests: Summer pests will make a beeline for plants weakened from heat and drought. 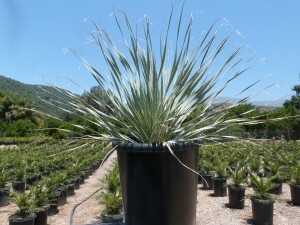 Choosing the right plants for the right place can help prevent pest infestations naturally. Making sure that each type of plant gets the water and nutrients it needs to stay vigorous will also keep pests at bay. Pests that tend to emerge during the heat of summer include mealybugs, spider mites, leafhoppers and many types of beetles.Keep an eye out for signs of stress on your plants to head off pest infestations. Fire Protection: Live in a dry area? Dry landscapes and high winds could be a dangerous combination if you live in an area prone to fires. 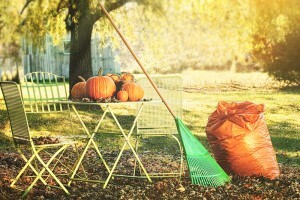 Be sure to keep dead tree limbs, leaves and woody vegetation cleaned up around the landscape, especially near the home. Cut tall grasses, remove weeds and keep gutters clear of debris.